This is one of my favourite plants – grows like a weed in Spain. I am never very successful with them. I buy them every year, but cannot succeed in over-wintering them. 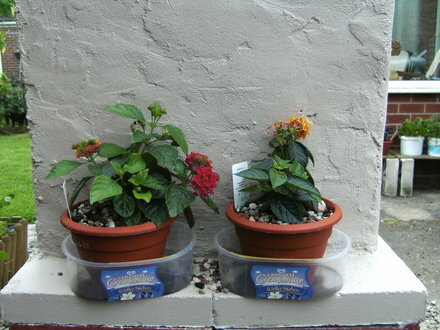 I may be lucky this year, these two seem very sturdy compact little plants.